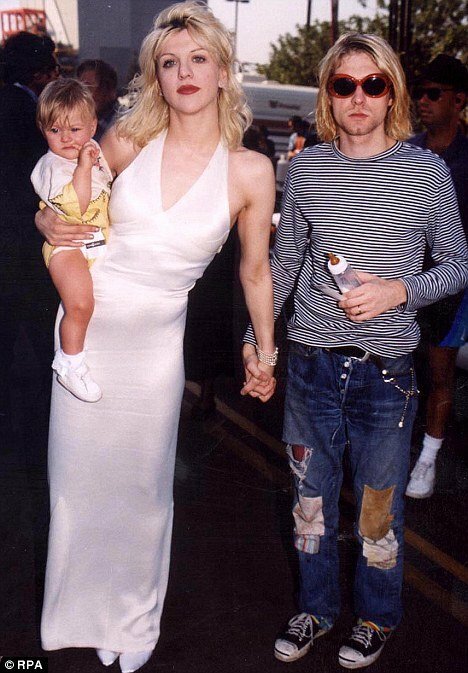 Courtney Love is planning a film about her late husband Kurt Cobain’s life. Courtney Love, 48, is working on either a musical or a movie about the lives of her and her late Nirvana singer husband, who committed suicide in 1994. Sam Lutfi made his claims in a Los Angeles court, where he is suing former client Britney Spears’ parents for libel and breach of contract. A source close to Courtney Love confirmed the movie plans, telling the New York Daily News newspaper: “She’s been talking about doing a movie or play about her life with Kurt for a long time. However, the source also added: “So far, nothing has materialized,” from Courtney’s ideas and she’s “never made any serious actions to do it”. Courtney Love’s acting career includes appearing in The People Vs. Larry Flynt in 1996, 200 Cigarettes in 1999 and Straight to Hell Returns in 2010. Many films have been made about and inspired by Kurt Cobain since his death, including Last Days by Gus van Sant, a lose fictionalization based on what the rocker’s final days may have been like, and documentary Kurt and Courtney by Nick Broomfield, which explored the theory Kurt could actually have been murdered.